Phosphorus (P) is an important macronutrient for field corn. Adequate amounts of the nutrient are associated with improved corn root development, increased stalk strength, resistance to disease, kernel (seed) production and earlier crop maturity. 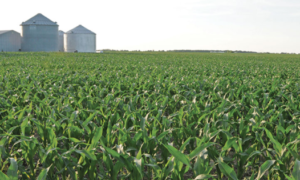 In some scenarios, the right amount of P can boost corn yields by up to 40 bu. per acre.